Creating and managing a product catalogue. Drawing potential customers to your store. Being notified when customers place orders. Accepting and processing customer payments. Charging appropriate tax on orders. Calculating and charging shipping rates. Protecting your store from hackers. Shopify is a web application that allows you to create your own online store. It provides you with several templates that can be customised to meet individual users’ branding requirements and the system allows physical or digital goods to be sold. One of the key ideas behind Shopify is that users without much technical or design skills can create a store without resourcing it to a design agency or a web developer. People who are familiar with HTML and CSS will be pleased to discover that Shopify allows you to edit both. Shopify is a hosted solution; you do not need to worry about buying web hosting or installing software onto servers. The idea is that everything you need to build and run your store happens “out of the box”. Shopify states on their website that the number of stores hosted with them to date is 200,000. Here’s a scenario: you have comeup with a great idea for your online business, but you are not ready to roll it out yet. Before you go any further, you will need to know your market. There are two basic markets you can sell to: consumers and businesses. These divisions are fairly obvious. For example, if you are selling women’s clothing, your target market is consumers; if you are selling office supplies, your target market is businesses. The narrower you can define your target market the better. This process is known as creating a niche and is the key to success. With whom do you want to do business with? Be as specific as you can. Identify the geographic range and the types of businesses or customers you want your business to target. If you don’t know whom you want to do business with, you can’t make the contact. In other words, you will be exhausting yourself and confusing your customers. These days, the trend is toward smaller niches. Targeting teenagers isn’t specific enough; targeting male, African American teenagers with family incomes of $40,000 and up is. Aiming at companies that sell software is too broad; aiming at Northern California-based companies that provide internet software sales and training and have sales of $15 million or more is a better goal. Now that you already know how to identify your niche and price your product, the next thing that you will need to study on is how to configure your store. This is an essential step to setting up your Shopify store. Setting up an online store only takes a short while, and with the features by Shopify, this can be done even faster with several clicks and a small monthly investment. These are some of the features which you can use to set up your store. Let’s get into each feature now. The best part of using Shopify as the platform to start is that you don’t need to be a coding expert or multimedia designer to design your online store. Shopify provides over 100 professionally designed themes to keep your store looking fresh, vibrant and inviting. This is the part of the configuration that I would advise you to spend a longer time on. As we already know, people are looking at designs more than the quality of the product nowadays. Whether you like it or not, visuals always come first. Your theme of the store represents the first impression, and it creates a powerful impact on your viewers. Use Shopify to solve the problem of designing your store, and you can easily set up a professional looking store with just a few clicks. A store isn’t complete without your products! Once you’ve set up the theme for your store, the next thing that comes to mind would be your products. This would be the most essential and exciting part, as you are going to see your store set up from scratch to a store with merchandise to start selling! Adding products to your Shopify store is extremely easy. Even a newbie to Shopify will not find any problems uploading the product. You’ll just need to follow a simple 3-step procedure and you are done with it. Step 1: Look for the Add a product button from the Products tab. Step 2: Insert Product details. Step 3: Save Your Product! That’s all there is to it! A simple 3-step procedure to complete the upload of your product. Once you’re done with the first one, do the same for the rest of your products. The customizable buy buttons on Shopify allows you to easily turn any website into ecommerce by embedding the buy button codes to the website. Moreover, the buy buttons are connected to your Shopify checkout. Therefore, regardless whether you are selling on your Shopify store or on your own blog, visitors will be directed to your Shopify checkout. One thing which may be bothering you is if you want to use the buy button from Shopify, but do not wish to start a brand new store to build up your audience again. 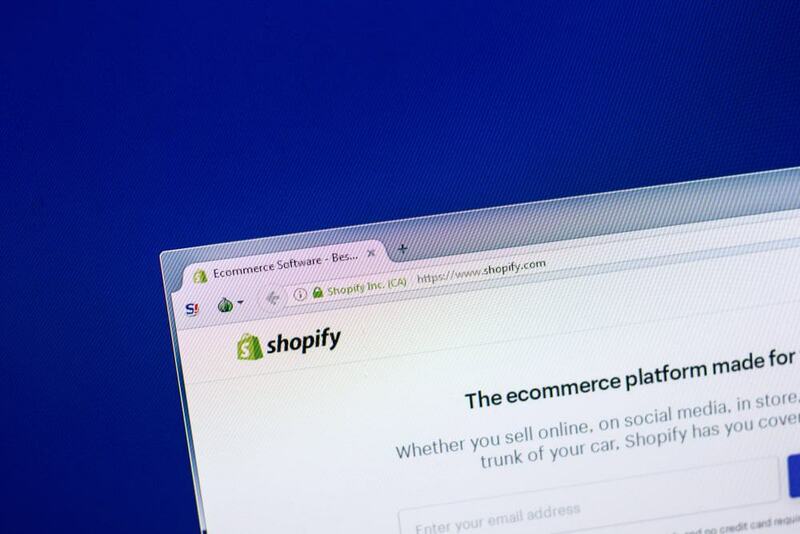 Not to worry, Shopify’s buy button isn’t limited to your Shopify store alone. You can also sell your products on your own website or wherever you’ve already built an audience online. This is the first way you can use the buy button. The second way would be to start your own Shopify store, which includes product pages, an embedded cart, and a secure checkout. You can keep track of orders through your Shopify admin. And yes, it is still workable regardless where you sell your products. As long as you are using the Shopify buy button, you can keep track of orders with Shopify. The customizable buy button enables you to match any webpage’s theme. You can design your own buy button according to your own style and format. They are all fully responsive and offer your customers a better experience on shopping in your store on their computers, smartphones, or tablets. After you’ve set up the theme, products, and the buy buttons, you will need to configure your shipping details. Organizing and shipping the products to the customers can be troublesome. However, Shopify can make your shipping simpler! You can set shipping to be a fixed price (based on the weight of individual products) and set extra charges for shipping out of the country. You can also select whether to charge taxes on the product and based on the product’s weight to calculate shipping. There is a Shopify app store with numbers of extension apps to customize your store. Whether you want to print labels, add customer reviews to your stores, or install live chats, you can find the extension on the Shopify app store. There are paid and free apps which can be installed with just a few clicks. Choosing a theme for your store is worth a standalone sub-topic for it. As mentioned, the theme of your store represents the first impression of your business. Once the first impression is ruined, you will not have the second chance to build up the connection with them. People nowadays put priority in packaging. In this scenario, your packaging is the theme of your store. Hence, choosing a right theme for the store is vital. Shopify has over 100 themes to choose from, which includes a wide range of both free and paid themes. Having logged into Shopify, visit the Theme Store. You can filter themes by paid or free; by industry; by features, and so on. This could save your time of choosing from scratch. Once you’ve found a theme that you like, click on the theme’s sample image. Check on the theme details and reviews. When you are on the page, you will be given more information about the theme; such as whether the theme is responsive and so on. One of the interesting features with Shopify’s theme is that you can preview it. Simply click on the ‘View Demo’ button and you’ll be able to see the whole theme live in action. If the theme comes with a few styles, you can view them all by clicking on them. Instead of visualizing it in your mind and seeing a different result when it is the real deal, you can preview the theme before deciding to use it. If you like the theme, click on the ‘Get Theme’ button. To confirm this action, click on ‘Publish as my Shop’s Theme’. You can switch your theme from time to time when you feel like it. After the theme has been installed, Shopify will notify you and give you the option to go to your theme manager, where you can view and customize your themes from there. Optimizing your store plays a vital role to increase and boost traffic to your store. The more the optimization; the more likely it is for your store to appear on the search result page on search engines. First and foremost, look for a few suitable keywords in your niche. For instance, if you are selling digital products, suitable keywords will be ‘digital’, ‘e-products’, and so on. I highly recommend using Google Adwords to find suitable keywords for your niche. Once you’ve decided on which keywords to use, fully utilize them in all the pages I’ve mentioned. Writing original content from scratch with the keywords will be the best way to optimize your store. Avoid reusing the contents from other sites. This will not help you to increase the traffic. In contrast, it may halve the traffic to be shared between you and the other sites. It is definitely worth your time to write all the pages from scratch. After some time, you can then replicate and tweak a bit for the new pages. We will look into Search Engine Optimization only, because this affects the optimization of your store the most. Most of the newbies may have overlooked the SEO for the pages; your store is more likely to have many missing titles, Meta descriptions, and URLs. When you know how to optimize these elements, it helps Google to have a better understanding on what your store is all about, as well as increases the visibility on the search result page. When the visibility of your store increases, the chances of people clicking on your links from the search results page will also increase. Shopify represents one of the cheaper ways of selling online with its starter plan. Shopify Lite costs $9 per month and allows you to sell an unlimited number of goods. However, it’s important to note that this plan does not actually allow you to construct a fully-functional store. It only allows you to sell via your Facebook page, to use Shopify in a physical location to sell goods or manage inventory, and gives you access to Shopify’s Buy Button which allows you to sell goods on an existing website or blog. As you move up the pricing scale, you encounter the Basic for $29 per month, the Pro plan for $79 and the Unlimited plan for $179 per month. Unlike the Lite plan, all of these plans allow you to host a fully functional online store with unlimited file storage. Bandwidth is also included. There is also a Shopify Plus plan which is an enterprise grade solution designed with big businesses in mind rather than the average user; it offers advanced features regarding security, APIs and fulfilment. Finally, it is worth mentioning that you don’t have to pay for plans on a monthly basis. Shopify offers a 10% discount on annual and a 20% discount on biennial plan when paid upfront. However, it is only worth choosing these options if you are 100% certain that Shopify is going to meet absolutely every business requirement you are likely to have for your store over the next 1 to 2 years. Otherwise, a monthly plan is a safer bet. There are two ways to accept credit card payment on Shopify. The most straightforward way is to use Shopify Payment, which is powered by Stripes. This option is only available to a few countries. If you use this, you won’t have to worry about transaction fees. However, there is still a credit card rate to consider. You can expect to pay a rate of between 1.6% and 2.2% of each credit card transaction plus 30c. Alternatively, you can use a third party payment gateway to process card transactions, which there are over 70 options to choose from. By using a third party payment gateway provider, you can expect to pay a percentage of a transaction fee. If you use payment gateway, Shopify will apply a transaction fee as well which is between 0.5% and 2% depending on the Shopify plan you are on. One important thing worth noting about Shopify Payment is that is it available only for users based in the US, Canada, Australia and the UK. If you are not selling from one of those countries, you will have to use a payment gateway provider. Fortunately, Shopify works with an extensive range of well-respected payment gateways. So if you are selling outside of the aforementioned countries, you should be able to easily find one that is suitable for your location. Before I recommend any platforms to you, I would like to give a few helpful tips. Tip #2: Don’t sign up for EVERY social media channel because they are new or popular. Determine which is MOST relevant to your business. It is better to be excellent with one or two channels than mediocre at five or six. Tip #4: Don’t get frustrated and stick with it. Social media takes an investment of your time over a sustained period in order to achieve results. This is by far the biggest social media channel. With an estimated 1.11 billion people using the site each month, 665 million active users each day, and up to 645 million local business page views per week, Facebook has proved that its popularity amongst users is here to stay. Facebook can be thought of as the “social” home for your business on the Internet. It’s a place people can go and leave a message, browse through business products and photos, or chat with you online. With so many targeted potential customers, creating a business page is a must, but remember that it needs to be updated on a daily basis with not only promotional information, but engaging and interesting content as well. Know that this platform does need a considerable amount of human and financial resources (advertising), and, if done right, the benefits to your business will definitely be seen. Twitter is full of people with things to say, and you can listen! This social media channel has an estimated 215 million active users. Twitter is not so much meant for friends and family but for people whom you actually want to communicate with. You may think the 140 character count (or the amount of words you can tweet) is limited, but when used correctly, you can reap the rewards. Twitter has proved its worth in recent years as a platform for breaking news. Use the great hashtag feature to keep up with and be part of the latest trends and news worthy events. Twitter is also a great way to connect with your customers. If you have an unsatisfied customer, you can hear them out on Twitter, and this is your chance to excel at customer service. If you have succeeded in gaining some popularity with your Twitter account, you will know how viral Twitter can be. If you’re not already aware, Instagram is a photo-sharing program. What makes Instagram different from other photo-sharing programs is that it’s a free app which can be downloaded onto iPhones and some Samsung and Android devices. It enables users to apply a variety of filters to pictures with a simple press of a button. Do not sign your business up if you are not going to use your smart phone. Though you can manage your Instagram account via your PC, you can’t upload images to Instagram without a third party tool from your PC. Instagram is great for products, pictures of staff, and developments within your business; and using this social media channel can add the ‘we’re just human’ factor to your business. Statistics show that there are between 130 and 150 million users, but you need to understand the demographic of these users and determine if this is the right target audience for your business: The majority of users (70%) are female between the ages of 18-35. This is a tricky social media channel and you should only take it on if you have great images to share concerning your business. Your business can reap the benefits of introducing your products to an estimated 70 million (10 million in the US alone) users on Pinterest, with fabulous backlinks to your website. Businesses that produce quality visual content on Pinterest have a distinct advantage. Because of the highly visual nature of the site, quality images have a greater chance of becoming “viral” – that is, being shared and re-shared and re-shared further – to thousands of people. An image pinned by a highly-followed Pinterest member has the potential to reach millions of viewers. It’s easy to say that people like pictures and leave it at that, but it’s just as important to understand why images draw us in so much more than text. You always need to understand the why of anything you do, or you will forever be stuck following endless advice rather than making your own decisions. There are two primary reasons that image marketing has become the dominant force online. The first is as old as humankind: images have a strong emotional factor, and emotions have a powerful pull on us. The right picture can brings out strong emotions in us, may it be compassion, joy, disgust, or even hate. This is a fact known by sociologists, psychiatrists, marketers and politicians alike. An image can convey a wide range of information or it can focus on a single thought or emotion, and it can effectively cover all of the ground in between as well. It just needs to be the right image. The second reason is much less emotional but just as human, and that is we get bored quickly these days. We have no patience to perceive information that we want from an overloaded content. We inundate ourselves with sources and tributaries to feed our hunger for information, but we aren’t very good at building dams and other means of filtering that flow efficiently. So we try to keep from drowning ourselves, and that means that we scan things much more quickly and filter them out much more easily. Images solve that problem. You may be old enough to remember when department store catalogues were always lying around somewhere in your home. Those catalogues were hundreds of pages, containing everything that store carried, layouts with pictures and a text description, and it succeeded in keeping us captivated.